If we could swap our wardrobe for one from any TV show, then we would choose, without the shadow of a doubt, the outfits from Friends! The stylists did such a great job in choosing the clothes of the iconic New Yorkers that their wardrobes remain until today an inspiration for many of us. 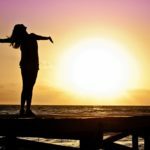 Whether you’re watching the TV show for the first time (no judgment) or re-watching the same episode thrice in a row (rightfully so), you will certainly be hit by a wave of nostalgia. You will instantly miss those denim clothes, multiple-layer outfits, neon accents and spaghetti-strap dresses. 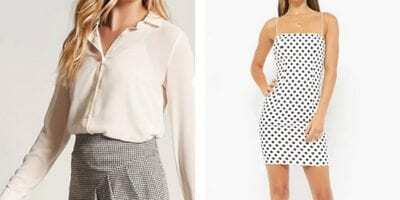 More particularly, we thoroughly scrutinize any outfit worn by Rachel, Monica and Phoebe. The clothes the female trio wear are a vision. 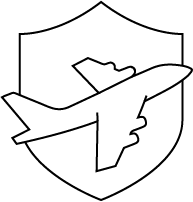 They are carefully picked for any occasion a young adult may find themselves in: NYE party, romantic dinner, professional interview, casual outerwear, beach vacation … just say the word, and they have it! 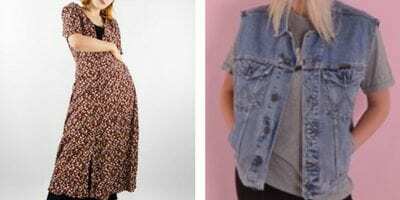 If you’re a Friends outfits fanatic, no need to dig through your mom’s closet or your old wardrobe, we got you covered! Get inspired by these 10 outfits worn by Rachel, Monica and Phoebe, and find out where to shop their clothes! Rachel is a master of the simple and elegant everyday look, even with the paycheck of a Central Perk barista! We are head-over-heels for those high-waisted shorts, that you can wear on different occasions. They are probably the most versatile piece of clothing in the whole series. And since graphic tees are in, it’s all a win! When Monica is relaxed, everyone else is. Take a light blouse, hastily tuck it in high-waisted blue jeans, quickly put on a pair of (immaculate) white sneakers, and here you are with a relaxed Monica look! Perfect for a chore day, when chilling in the park or a café, and even for a walk in the city. Simple, to-the-point and comfortable, this look could easily become the go-to look for many busy people out there! 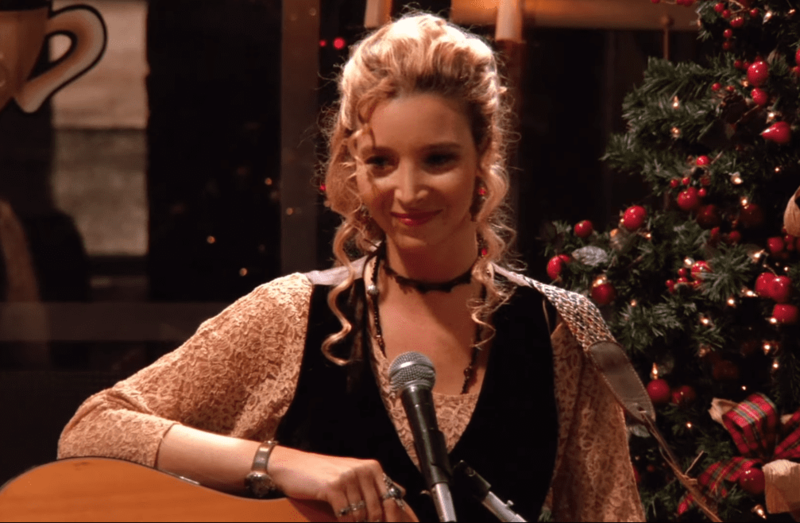 If you want to make your own version of Smelly Cat someday, make sure to match your performance with this brown-toned outfit that exudes comfort and good vibes! In the ’90s, swinging from tight and short clothes to large and baggy ones was completely normal, and it still is today! So for this look, you may want to go for a larger size when choosing your lacy top. Rachel isn’t considered one of the best-dressed characters for no reason! She knows how to summon her natural elegance with the simplest outfits, and this one is no different, with her buttoned blue velvet top and black double-split skirt. Since the ’90s fashion trend began, we’ve happily welcomed the comeback of velvet. Tops, blouses and even lingerie, all have used a touch of velvet, and we love it! 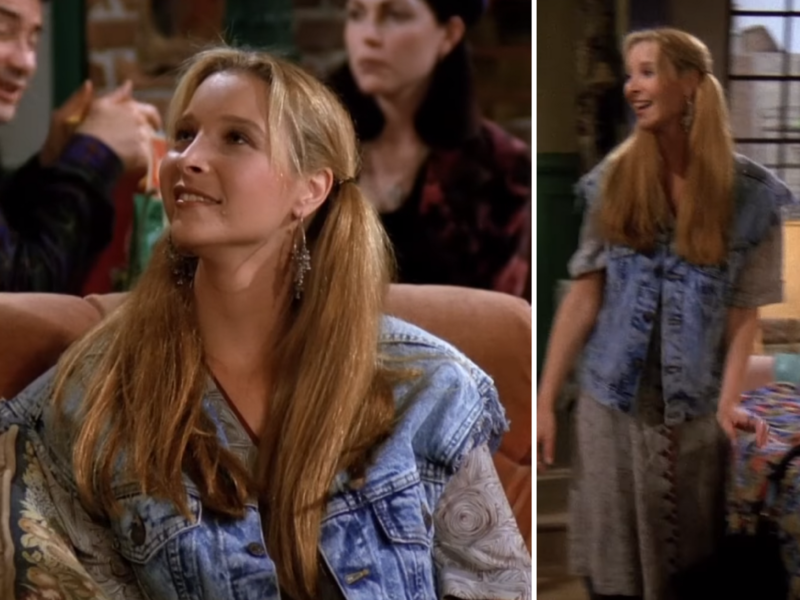 The (mandatory) denim jacket is a recurring theme in Friends outfits, so we couldn’t possibly leave it out. Here, Phoebe is playfully mixing a long button-down dress with a sleeveless washed-out denim jacket, and, OMG, it is unexpected and pretty! Since it was in the first episode ever of the series, we right-away knew what type of bold character Phoebe would be. Bonus point for wearing those ponytails with all the confidence in the world! 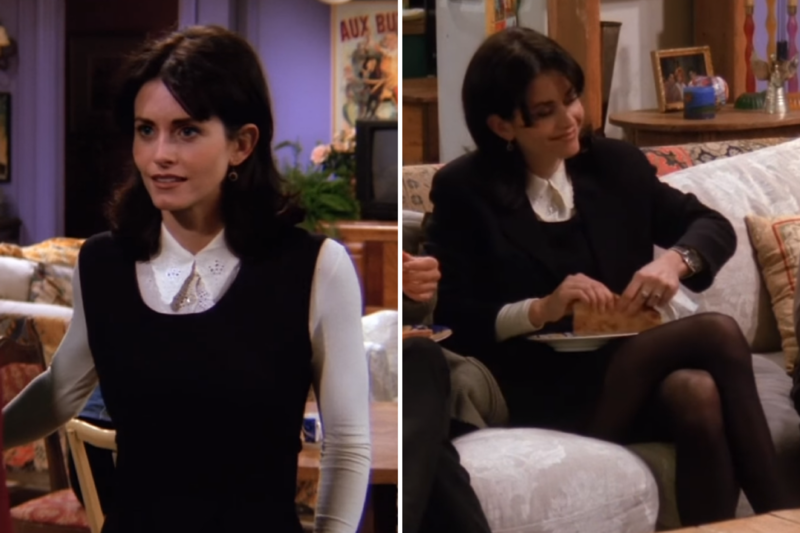 The fact that Monica is a serious control freak is non-negotiable, but we’re glad it reflects on her clothing styles! These jumpers are refreshing and young, and once you throw a jacket over them, you will be ready for a bike ride in Central Park! 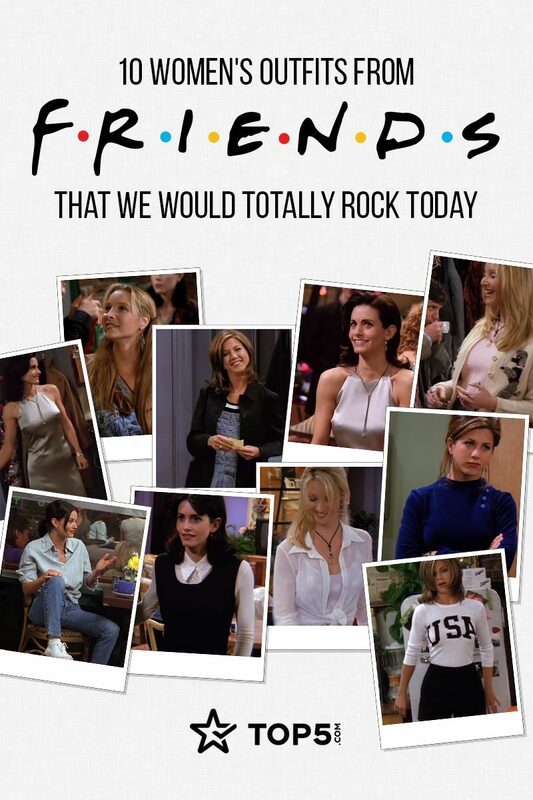 Who can argue that Phoebe has the most interesting clothing choices of all the Friends in all the seasons? With blazing colors and fierce choices, this gal doesn’t fear to express her true self through her clothes, and we absolutely dig it. Here, she chose a light-hearted purple dress, that she charmingly covered with an open button-down sheer blouse. The detail that totally sells it to us? The tight knot at the waist – so refreshing and feminine. Patched jeans? Check! A neon belt? Double-check! A knitted cardigan? Check, check, check! This is officially the look of the ’90s we were looking for. The detail of the colored patched skirt is unique, quirky and loads of fun. In this day and age, you either thrift-shop it or make it yourself. But since denim skirts are back again, you have a multitude of places to shop from. Unleash your inner ’90s fashionista. Phoebe would approve! When Monica brings her A-game, we know we’re in it for a treat. With one sleek, simple lavender satin dress, she instantly captivated the hearts of viewers. This dress set the bar really high for the next parties Monica hosted in the following seasons. This might be the most elegant of our Friends outfits list! Everything is flawless: the dress, the wavy hairstyle, the minimalist jewelry and the bright smile! Which one of these Friends outfits did you like more? 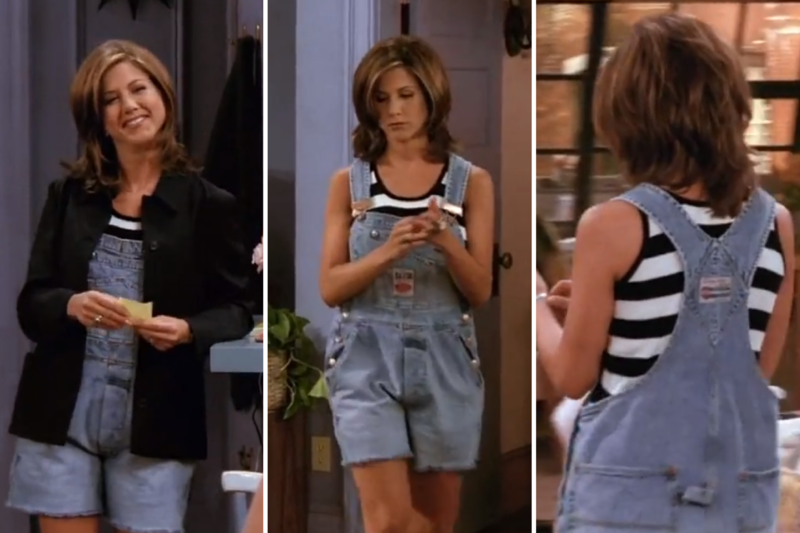 Are you more of a Phoebe, a Monica, or a Rachel in your fashion choices? 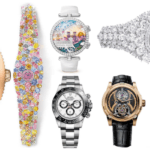 Let us know in the comments and share this article with your friends to inspire their OOTD! Want some modern-day fashion inspo? Check out our Top 5 Fashion Influencers To Follow On Instagram in 2018!